Rich in history and blessed with glorious weather, Palm Springs is a prime destination of travelers from all over the world. This desert resort city is internationally known for sun, golf and its elegant yet laid-back ambiance. Palm Springs is the jewel among desert cities. Its village atmosphere has been preserved and embellished over the years. The downtown area with its quaint lampposts, benches and Mexican tile-paved enclaves invites strolling among the shops, galleries, eateries, and coffeehouses. In fact, for Bay Area residents who dream of hot summer nights – the one thing we lack in our otherwise perfect climate – Palm Springs is a sensualist fantasy. . . a place to dine al fresco in the pretty palm-lined village, shop at cool retro boutiques, mingle at trendy bars, and perhaps even rub elbows with a Hollywood star or two. If not, many are immortalized in Palm Springs’ own Walk of Stars with some 300 stars of celebrities, humanitarians, professional athletes and others who have made their mark. This desert resort city is internationally known for sun, golf and its elegant yet laid-back ambiance. 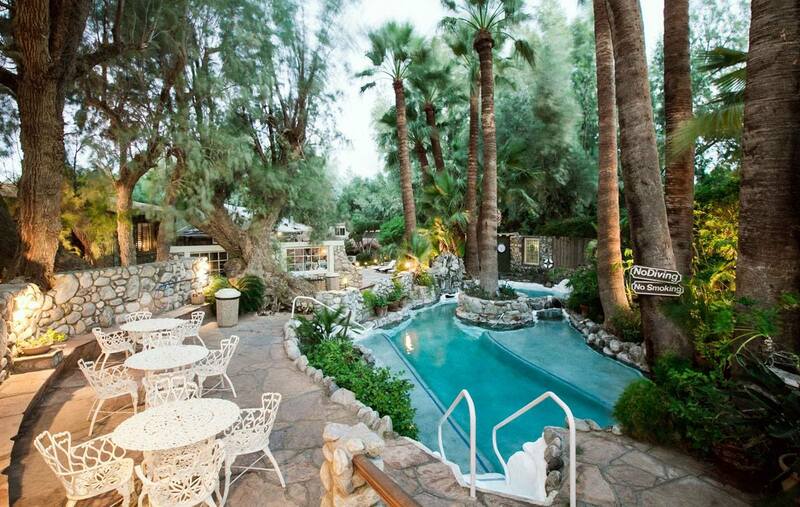 For most visitors, the desert is one of Palm Springs’ most interesting features. The stony sand is almost completely flat, having been covered by the sea centuries ago. A great way to get a close look at it is to join a covered wagon ride pulled by mules. These go for six miles, taking in three small oases whose palm trees contrast dramatically with the pale spindly bushes all around. More than 2,000 years ago, Palm Springs’ first residents were the ancestors of today’s Agua Caliente Band of Cahuilla Indians. By the time it was incorporated in 1938, the Village of Palm Springs had become world-famous as a winter playground for Hollywood stars like Frank Sinatra, Marlene Dietrich, Bob Hope, Loretta Young. Today, the Agua Caliente Band is the largest landowners in the city with nearly 6,700 acres within the city limits. Most people arrive by taking a rental car, bus, or van to get from the airport. Rail and even motorcycles are available. A car does allow visitors more freedom to explore the surrounding area, although bus tours are easy to arrange. With more than 130 hotels, lodging comes at all price ranges from high-end resorts to smaller boutique hotels – prices range from $50 US per night to $509 per night on the more luxury options. There are also many vacation homes, condos, and RV parks. If you want to renew your energies, a great option is the Two Bunch Palms, a unique Spa & Resort, where you can feel the solitude of nature. It’s said that the hotel was once Al Capone’s West Coast hideout. More info here. 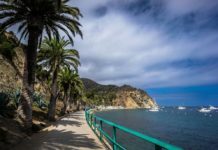 The L’Horizon offers you a perfect mix of high-end Bungalows, designed by the famous modernist William Cody, a great Spa with outdoor treatments and the SO•PA Restaurant, which is one of the greatest restaurants in Cali. More info here. Palm Springs has a multiple of exciting activity choices: swimming, spas, hiking, horseback riding, sightseeing, casinos, shopping, dining, and more than 100 golf courses. It’s a city of numerous festivals, conventions, and international events such as golf tournaments or the Palm Springs International Film Festival. 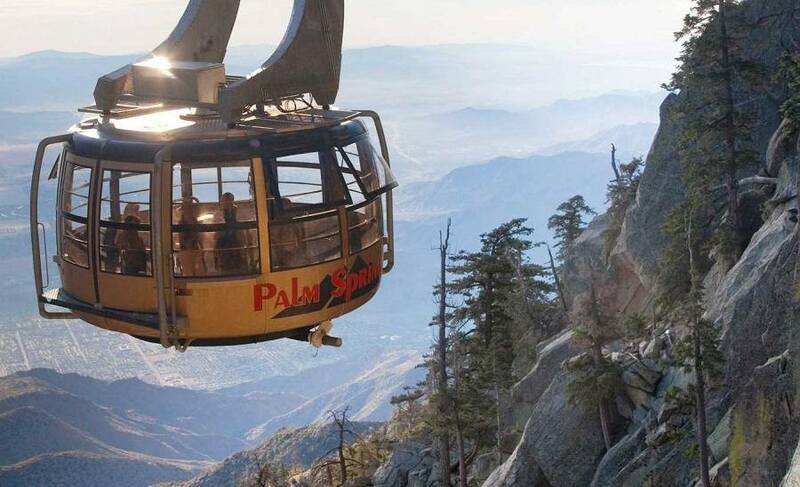 A visit to the Palm Springs Aerial Tramway is a must. The world’s largest rotating tramcars ascend two-and-a-half miles up to reveal breath-taking views of the entire Coachella Valley. Construction of the Tramway was an engineering challenge and was soon labeled the “eighth wonder of the world.’ The tram rises from the desert floor to an altitude in excess of 8,500 feet. A wilderness area with nature trails and helpful interpretative signage can be explored at the top of the tram. The restaurant also offers stunning views. The Tramway offers a variety of activities year-round for the adventurous and those not quite so inclined. 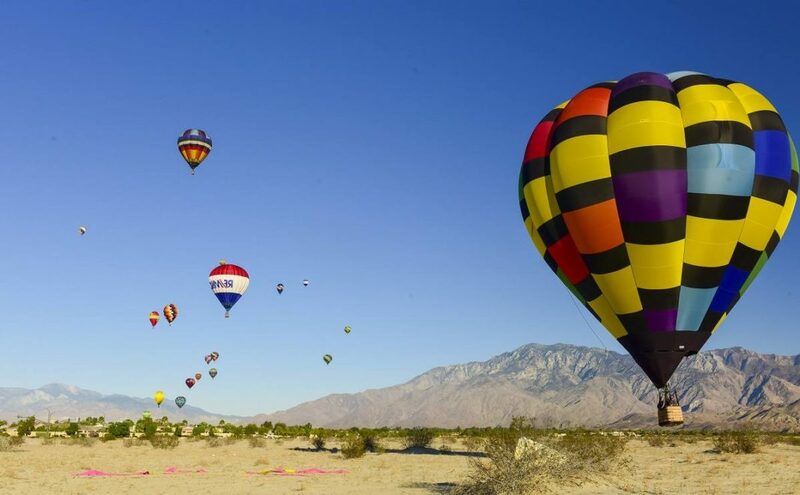 No one visiting Palm Springs should miss going for a ride in a hot-air balloon. 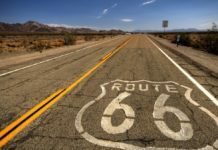 It is easily the best way to see the extraordinary contrast between the town of Palm Springs and the Colorado Desert beside it. The balloon rides start at either dawn or dusk to ensure the right amount of breeze. Consequently, those on board invariably see a magnificent sunrise or sunset created by the combination of the desert sand and the long ridges of mountains. This 1-acre family-owned botanical garden specializes in cacti and other desert plants. The Gardens were established in 1939 by Patricia and Chester “Cactus Slim” Moorten. 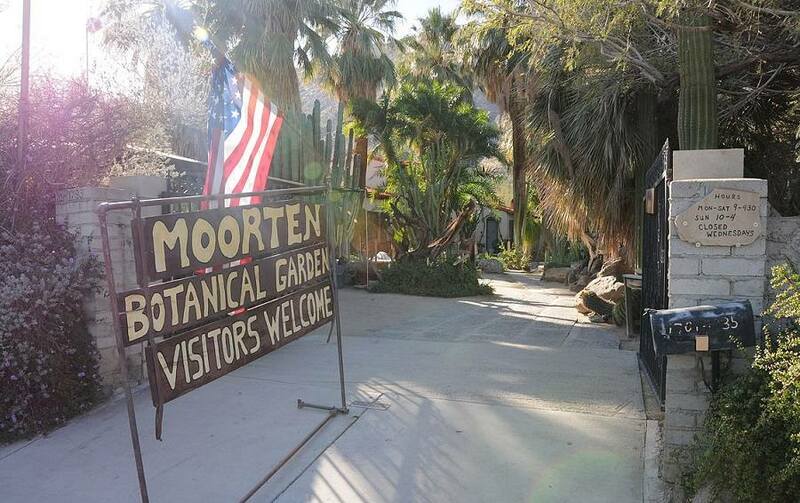 The Moorten Garden includes 3,000 examples of desert cacti and other desert plants. Village Fest held every Thursday features a free outdoor street festival of arts and crafts, live entertainment along with tasty food and local vendors. Visitors will find Mexican, Italian, German, American, seafood, natural organic and all manner of international dishes. If you are into fine dining, we can’t recommend enough the Catalan Mediterranean Cuisine restaurant. 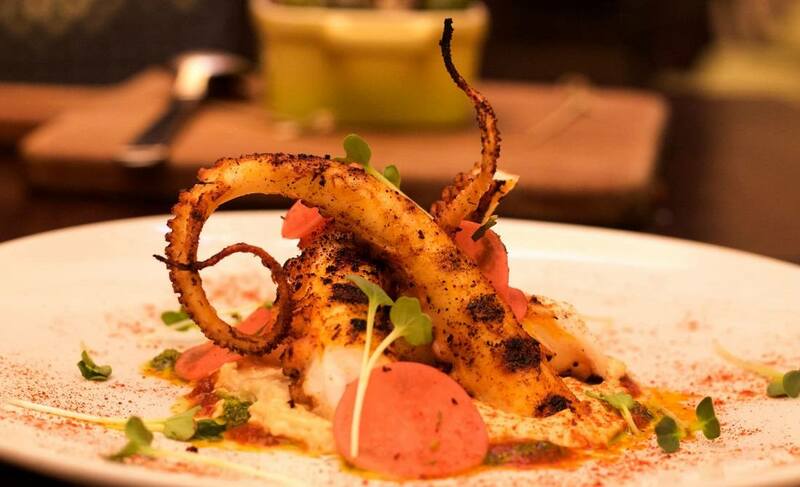 Helmed by chef Drew Davis, the restaurant offers a perfect Mediterranean experience. Your trip to Palm Springs will not be complete without a drink at the Bootlegger Tiki (Directions here). 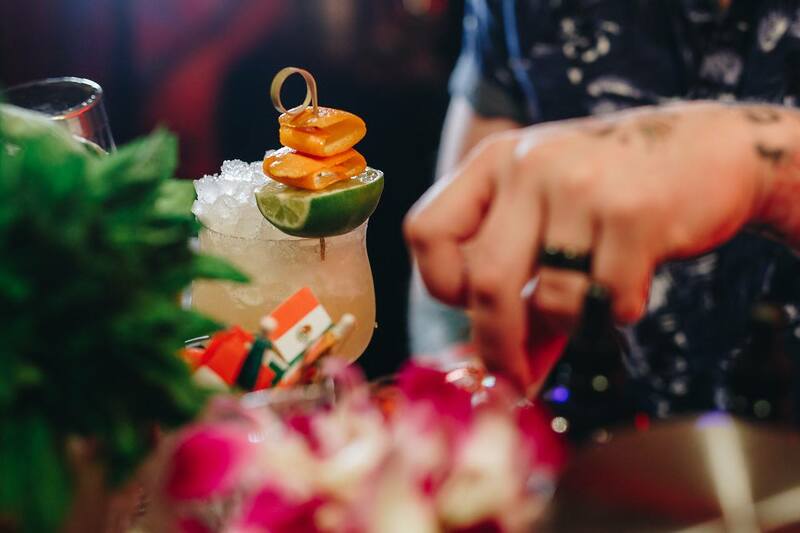 Tiki bars are trendy all over America, and Bootlegger is one of the best in the country. My favorite drink there is El Chapo. It’s something like Polynesia meets South America. 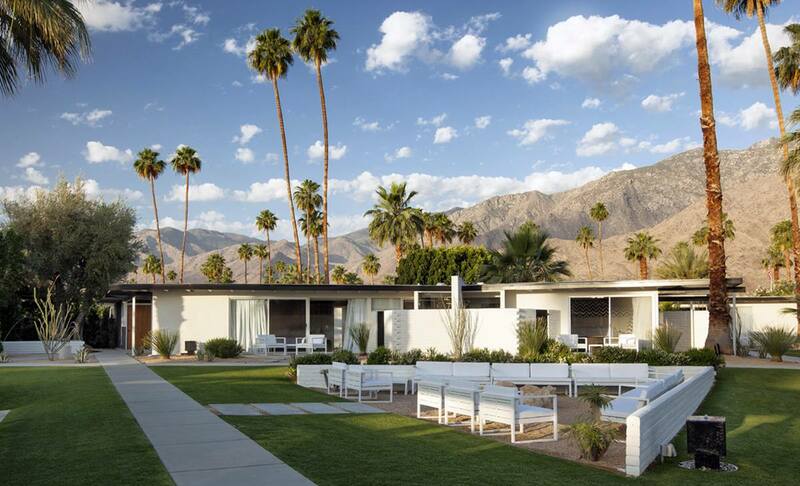 Travelers will have even more reasons to visit Palm Springs in the next few years. 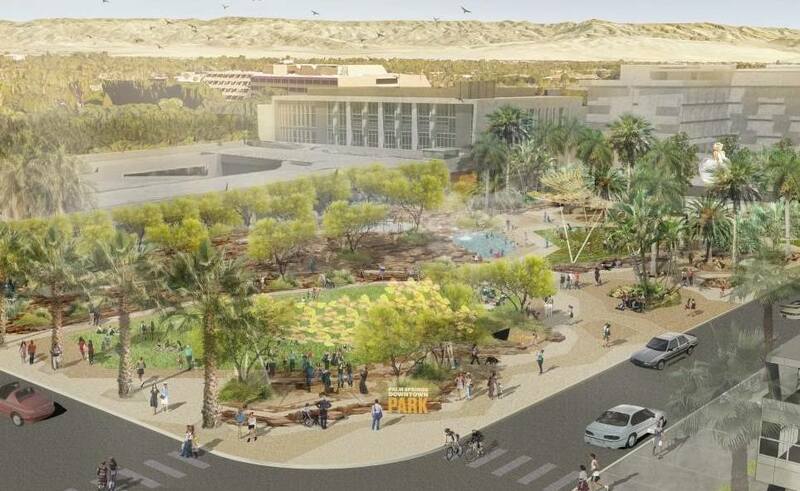 An exciting new revitalization project for downtown Palm Springs will bring many new things to the resort city. Opening in 2020, the Downtown Park will offer a public gathering place in the heart of the city. The park will be the home to Palm Springs Art Museum’s Aluminaire House.